Yacine is a veternarian in Palestine’s only remaining zoo. His ten-year-old son Ziad spends a lot of time with the animals and has a strong bond with the zoo’s two giraffes. One night, after an air raid on the city, the male giraffe dies. The female giraffe can’t survive alone and starts to slowly let itself die. 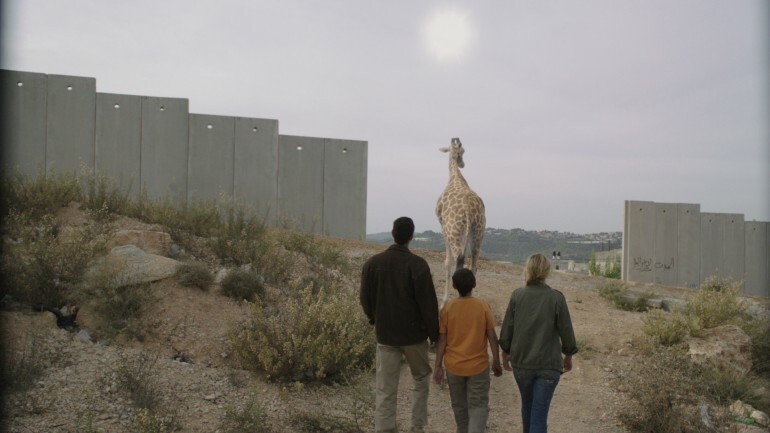 Yacine must absolutely find a new companion for the beast, but the only zoo that can help him is in Tel Aviv.